Guest post from Kaira Clark, Marketing Executive at Xicom Technologies Ltd.
Every business owner yearns for a high yielding business; thus, this is the reason they opted for starting a business in the first place. Small business owners are slightly more inclined towards forging new ways to fortify their business, whereas big brands just need to focus on maintaining their market position. In order to gain momentum, small business owners study these big brands and follow their footsteps. Business owners are using the internet and digital media very efficiently to reach a multitude of customers and have crossed several demographic barriers to sell their goods and services. So much so, that we can deem it the major factor for globalization. Moreover, small businesses and large businesses alike are understanding the value of mobile apps. Nowadays, be it the millennials and other age groups, everyone is bewitched by mobile devices and small businesses shouldn’t ignore this trend. The halo effect is increasing downloads and usage of mobile apps, as demonstrated in the following infographic. In a very short time, mobile apps have seemed to surpass the craze of desktop computers. However, many people still are not aware of why people have gone so crazy about mobile apps. Well, mobile apps are software applications that can run smoothly on handheld devices such as tablets, phablets, smartphones and others with precision. Another great thing about mobile apps is that they are showcased on app stores, and this helps business owners showcase their work through popular platforms. Google’s Google Play store and Apple’s App Store are the two leading platforms as stated per Net Market Share; whereas the others are still striving hard to gain a foothold in the market. There are millions of apps running on these platforms and this itself is self-explanatory as to why mobile apps have captured the market. Enough with the eulogy, now you might be wondering why mobile apps have grown so luxuriantly and here are the reasons. Ignoring the popularity of mobile apps isn’t wise if you wish to achieve small business success. People are increasingly using many apps on their mobile devices and many brands are releasing apps that are specific to their businesses. As an example, real estate agents now have the ability to customize and create apps that market their brand and businesses, and distribute those apps to their customers and prospects. This helps them capture their customers’ attention and helps them to imprint their brand and develop customer loyalty. For those selling goods and services directly to their customers, rather than through a retail storefront or other means, mobile apps are one of the most strategic tools available. They foster incredible services such as search features, messengers, user accounts, news feeds and many other services to the mobile app users. One of the biggest advantages is that the users do not need to fire up their laptop to stay abreast as everything is on their smartphone. A mobile app can be considered as a billboard sign for your users. It is up to the marketer how to use it to the fullest to reap in benefits. The designers can make it highly functional, informative and make it appealing when it comes to look and feel. You need not forget that your app needs to be highly functional when it comes to the rendering a solution to the users. At the same time, keep in mind that your app needs to be attractive to increase your sales. Your small business sales directly depend on how easily you get your customers using your app. This is a rule in marketing and as per the rule getting exposed to your brand is what gets you truly noticed. The nature of your business does not define whether you need to embrace a new technology or not. This means that whether you are a real estate agent, baker or a beauty salon owner you need an app that allows your customers to reach you whenever you wish. 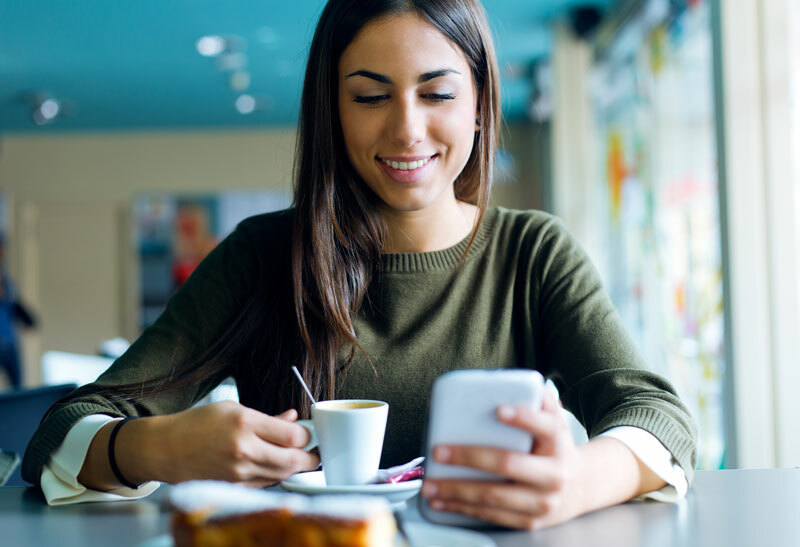 Incorporating an instant chat option will certainly improve communication flow with your customers, and helps you to develop a good relationship with them. Now, app developers have moved to a progressive level of customer engagement and to improve the engagement they have introduced gamification to make their apps even more engaging. Though mobile apps have become quite a trend, they still have not been adopted by many small businesses. However, those who have moved a level ahead and embraced mobile technology have reaped in the benefits. Small businesses can become trendsetters by developing mobile apps for their business and catering advanced services to their users. One of the most important reasons mobile apps play a crucial role is to gain customer loyalty. Advertisements are the traditional way to reach customers; however, with the numerous roadside banners, flash signs, billboards, flyers, coupons, newspaper ads, website banners, email marketing and social media, your message gets lost in the crowd. This is the reason a sincere bond needs to be made to develop a strong image of your brand. However, an app is certainly not the only solution to your problem, but it proves to be one of the most crucial steps in creating a strong bond with your customers. With so much being said about mobile apps these days, every new blog post seems to be just another drop in the ocean. In short, mobile apps are under the limelight and they enjoy a fair share of attention. Moreover, with a lot of work being done in this field, small business owners need not worry about the budget as mobile app development no longer remains a luxury. So don’t extrapolate or calculate, just go mobile and go ahead! This guest post is written by Kaira Clark, Marketing Executive at Xicom Technologies Ltd. Whether you want to Hire mobile app developers or are seeking offshore web development services, Kaira can provide useful insight to help you in making an informed decision.